Located high in the North Carolina hills on the Eastern Continental Divide (elevation 4,000 feet), Blowing Rock is a town for all seasons. The falls are spectacular, the winters have been compared to scenes from Currier and Ives, the springs are an explosion of wildflowers, and the summers are cool and comfortable. Perhaps that's why the population of 1,500 swells to more than 5,000 during the summer months. Fans of Jan Karon's "Mitford" series of books will no doubt feel they've come home to Mitford upon arriving in Blowing Rock. The author lived in the town while writing her novels and used it as the model for her fictional village. As the only full-service community on the scenic Blue Ridge Parkway, Blowing Rock is home to numerous inns, restaurants, shops and much more. Patrons of the arts can enjoy any number of cultural opportunities, including performances by the Blowing Rock Stage Company (a professional summer stock theater), Ballet Blowing Rock, the outdoor drama Horn In the West (in nearby Boone), Concerts in the Park and Art in the Park. The latter draws thousands of tourists to town every summer. The series of juried art and fine craft shows runs monthly from June through October. The shows feature baskets, furniture, paintings, sculptures, jewelry and much more. Outdoorsmen also will find plenty to do in Blowing Rock. They can fish or canoe in the area's numerous streams and lakes, hike or ride the local trails, hit the slopes during the winter, and tee off just about any time of the year. Of course no visit to Blowing Rock would be complete with out a visit to the Moses Cone Manor. Nestled on the Blue Ridge Parkway, the antebellum mansion serves as a showcase for the works of Appalachian artists while the grounds are a haven for hikers and horseback riders. Just a bit further down the road, the Westglow Spa offers a wide range of relaxing beauty and skin care treatments--go for the day or spend the weekend. Located on the Intracoastal Waterway, not far from where the Neuse River meets the Pamlico Sound, Oriental has long been a popular stop for folks cruising south for the winter and heading back home for the summer. In fact, many residents first visited the town while sailing to other destinations, but decided to come back and make it their home. There's no mystery as to why sailing enthusiasts love Oriental. The town has an extensive waterfront, created by the river and creek systems, numerous large marinas and great sailing conditions. Each year it is host to countless regattas and fishing tournaments and paddle trails are open every day of the year. For a bit of local color, there's the "Croaker Festival," a Fourth of July Festival, The Spirit of Christmas and the Dragon Walk every New Year's Eve. In Oriental, you will find excellent shopping opportunities, restaurants that offer dishes to tempt any palate and lodging for any price range. Legend has it that, in 1879, developers Samuel Kelsey and Clinton Hutchinson took out a map and drew two lines--one connecting New York to New Orleans, the other connecting Chicago to Savannah. The men believed the spot where the lines intersected would be the ideal location for a vacation town. That spot was Highlands, N.C. It turns out Kelsey and Hutchinson were right. And all the things that make it a wonderful place to vacation make Highlands, and nearby Cashiers, the perfect place to retire. Located at the southern tip of the Blue Ridge Mountains, near the point where North Carolina, South Carolina and Georgia meet, Highlands and Cashiers offer a pleasant climate, clean air, fantastic shopping and the natural beauty of the mountains and numerous waterfalls. The Highlands Country Club features a world-renowned Donald Ross golf course, which has been played by many golf legends. The course record is still held by Bobby Jones, who maintained a summer home at the club. Highlands also is home to the Highland-Cashiers Hospital, recognized for its excellent staff and modern facilities. Cashiers, which has only one stoplight, is home to the High Hampton Inn and Country Club. The rustic retreat features cabins covered with shaggy chestnut bark, horseback riding, water sports on Lake Hampton, mountain climbing and gold. Currently Highlands has a permanent population of about 2,000, but each summer that number jumps to 25,000. (In Cashiers, those numbers are 1,250 and 9,000 respectively.) During their summer vacation, those tourists can expect cool temperatures. During July, the average low is 56 degrees; the high 76 degrees. The residents who stick around for winter can expect an average low of 24 degrees and an average high of 42 degrees in January. The great weather is perfect for outdoor activities of all kinds and the Nantahala National Forest provides ample opportunities for hiking, fishing, hunting, camping and more. The Great Smoky Mountains National Park and the Blue Ridge Parkway also are within driving distance of Highlands. If you're interested in more cultural pursuits, each summer Highlands is home to an annual music festival and the Highlands Playhouse has performances throughout the season. If you're interested in continuing your education, Western North Carolina University is in nearby Cullowhee and Elderhostel offers a summer program each year. For more than a century, the name "Pinehurst" has been synonymous with golf. Located in the Sandhills area of eastern North Carolina, the town of Pinehurst was founded as a winter resort for New Englanders. It didn't take long for the founder, James Walker Tufts, to realize the area's potential and soon he developed his resort into a premier golfing destination. Today there are more than 30 courses in the area and, in 1999, Pinehurst was home to the U.S. Open. But there's more to Pinehurst than beautiful golf courses. If you're looking for other activities, there are a number of parks and lakes that offer tennis, riding, hiking, boating, fishing and other outdoor activities. The charming village atmosphere of Pinehurst offers a number of boutiques, fine restaurants and specialty shops, while more modern stores can be found in nearby Southern Pines. In Aberdeen, a visit to the Historic Downtown will turn up a variety of antiques, collectibles and more. Pinehurst also is home to the Pinehurst Harness Track, where you can watch the horses train and enjoy annual spring Matinee Races, horse shows and polo matches. The races are a popular social event each spring. The Sandhills Horticultural Gardens, on the grounds of Sandhills Community College, is maintained by the Gardening Department and the Sandhills Horticultural Society. The gardens cover 25 acres of garden and include a formal English garden, a native wetland trail, roses, rhododendron and azaleas. Sandhills Community College is also the location for the Sandhills Center for Creative Retirement. The Center provides programs and resources to enhance the intellectual, physical and personal well being of the large number of active retirees in the Sandhills area. Also within easy reach of Pinehurst is the N.C. State Zoo in Asheboro, the National Railroad Museum in Hamlet, and the Shaw House Properties, three historic houses depicting the lives of early settlers, in Southern Pines. All in all, the lifestyle in Pinehurst is that of a quiet resort town. Today, however, an increasing number of people are deciding to make it their home all year long. Settled by Swiss and German immigrants in 1710, and named for the Swiss city of Bern, New Bern is the second oldest town in North Carolina. Located on the Coastal Plains of eastern North Carolina, New Bern also serves as the county seat of Craven County and has a population of just over 30,000. History buffs will love the city as "history abounds around every corner." More than 150 historic landmarks dot the landscape and represent a wide variety of architectural periods. Perhaps the best-known is Tryon Palace Historic Sites & Gardens. The reconstruction of the Royal Governor's mansion (circa 1770) attracts visitors from all over the world. The old, however, mixes very nicely with the modern in New Bern--i.e. broader highways and bridges, national retailers and a developing waterfront. The city also offers a comfortable mix of large and small businesses, and impressive medical and educational facilities. Three miles from downtown New Bern is Taberna, a gated retirement community that offers its residents a championship golf course designed by Jim Lipe, tennis courts, a marina, a pool, fitness trails, canoeing and fishing, and Taberna Park. For shopping, residents can choose between shops in the suburbs or visit the downtown area. New Bern is home to a variety of art galleries, antique shops and restaurants. The city's cultural calendar boasts a list of festivals, tours of historic homes, art exhibits, theater performances, dance recitals, and concerts featuring just about any kind of music you can think of. There's also an active outdoor life in New Bern thanks to a mild climate and a number of excellent recreational facilities, golf courses and marinas. The Croatan National Forest is a great spot for an afternoon hike or a weekend camping trip. Badin Lake, which is located in the Uwharrie National Forest and is part of the Uwharrie Lakes Region, has long been popular with campers, hikers, fishermen, boaters and outdoorsmen of all kinds (including picnickers in search the perfect spot put down their blankets). The region is actually a series of sparkling lakes and small towns joined by the Yadkin-Pee Dee River and nestled in the forests, pastures and shadows of the Uwharrie Mountains. Some say the mountains are the oldest in the world. In Badin Lake itself, you'll find restaurants, a boat and tennis club, marinas and the Badin Lake Family Fun Center. There's also the Badin Lake General Store, "a true country store that covers all of your needs." If you still need something you can't find at the General Store, Badin Lake is close to a number of larger cities, including Charlotte, Raleigh and Greensboro. Also nearby is Uwharrie Point, a retirement community that was developed to blend in with and preserve the natural beauty of the region. The community encourages its residents to participate in the National Wildlife Federation's Backyard Habitat Program and sponsors various hikes and camping trips, along with astronomy and wildlife identification programs. For those who prefer that their hikes be accompanied by a little white ball, there is the Old North State Club. The club's golf course was designed by Tom Fazio and has been voted the number two golf course in North Carolina. In addition to golf, there's biking, tennis, swimming, a playground, a fitness center, a marina and a waterfront park. Just down the road from Asheville is Hendersonville, the county seat of Henderson County. The charming town offers easy access to all the beautiful sights of the North Carolina mountains: the Blue Ridge Parkway, the Great Smoky Mountains National Park and the Pisgah National Forest. And, if you love to play in the great outdoors, you can take your pick of activities: horseback riding, tennis, golf, skiing, water sports, fishing, cycling...you name it. It's the city's thriving downtown district, however, that makes it truly stand out. The effort to revitalize and preserve the area, to weave together the best of the past and present, has resulted in a Main Street "that sparkles with charm and vitality" and truly is "a place for every generation." The hard work also has gained the designation of National Historic District for downtown Hendersonville. In addition to restaurants and antique and craft shops, downtown Hendersonville hosts a number of events, including Apple Breakfast, Motorama and Ice Cream Scream. Additionally, you can enjoy shows at the Flat Rock Playhouse, performances at the Brevard Music Center and concerts by the Hendersonville Symphony Orchestra. Beautiful and historic Wilmington is located between the Cape Fear River and the Atlantic Ocean, in the southeastern corner of North Carolina. In addition to being the county seat of New Hanover County, Wilmington also is the cultural, medical, educational and economic center for the region. Because of its mild climate and relatively low cost of living, Wilmington also is becoming a popular destination for retirees who might once have considered Florida as the perfect place retire. Wilmington is known for historic preservation, its nearby beaches and annual events like the Azalea Festival and Riverfest. In recent years, it has become home to a major movie studio, with an increasing number of movies and T.V. shows being produced there. In the 1980s, after a long economic slump, revitalization became the focus in Wilmington. Companies such as Corning Inc., and General Electric moved to town and encouraged other companies to join them. Efforts to revive the downtown area also brought new life to the city with projects such as Chandlers Wharf, The Cotton Exchange and the Coastline Convention Center. All of which lead to the opening of numerous restaurants, galleries, clothing stores and shops. In addition to the historic downtown area, the rest of Wilmington has flourished as well. A building boom has reached into the suburbs, bringing shopping centers, restaurants and more to neighborhoods that range from "modest to grand." Since the completion of I-40 in June of 1990, Wilmington is now more accessible than ever. The highway is a direct connection to the Raleigh-Durham-Chapel Hill and Greensboro-High Point-Winston-Salem areas. The Wilmington International Airport also was expanded in 1990. The combination of those two factors have contributed greatly to the area's growth over the last decade. If you are looking to further your education after settling in Wilmington, you are in luck. The city is home to the University of North Carolina at Wilmington, Cape Fear Community College, Mount Olive College, Shaw University and Miller-Motte Business College. In terms of culture, you have your pick of opportunities in Wilmington. A number of local and touring groups perform ballets, plays and concerts at the Thalian Hall Center for Performing Arts downtown and at facilities on the UNCW campus. The St. John's Museum of Art, which showcases the works of artists from around the world, is set to move into new facilities in the suburbs sometime this year. Folks who like to spend their time outdoors, will find plenty to do in Wilmington and Hanover County. The area is home to some of the nation's finest golf courses and tennis courts. Water lovers have easy access to boating, sailing and other water activities. Fisherman have plenty of spots to cast a line--and if you're serious about it, you can try your hand at the U.S. Open King Mackerel Tournament (the purse is $50,000). Centrally located in the South Brunswick Islands, Shallotte has been the area's commercial hub since the 1800s. In those days, river pilots traveled the Shallotte River to deliver food and supplies. Today Shallotte, which got its name from the river that winds through town, is home to many nationally franchised restaurants, stores and hotels along with a number of local restaurants and shops. All the modern conveniences you might need are within minutes of quiet beaches. The average annual temperature in Shallotte is 74 degrees. During the hot summer months, ocean breezes help keep things cool. The climate is perfect for year-round outdoor activities such as golf and fishing and there are plenty of opportunities for both. Brunswick County's very first golf course is in Shallotte and is just one of 100 within an hour's drive. Fishermen, meanwhile, can cast their lines from the pier, in the surf or on the shore. Even if you don't fish, you can enjoy fresh catches of the day at many local restaurants. If you're looking for a quick getaway, Wilmington and Myrtle Beach, S.C. are also within easy driving distance. Although Shallotte has grown, it has managed to maintain a small town, leisurely charm. It's been said that Shallotte is "an interesting mix of small-town friendliness and larger town convenience that always remembers to respect the natural beauty of the area while effectively taking care of its visitors and residents." Located in Chatham County in the center of the state, Pittsboro offers the best of several worlds: the golf of the nearby Sandhills, the big-city attractions of Raleigh, Durham and Chapel Hill, and the quiet charm of small town living. 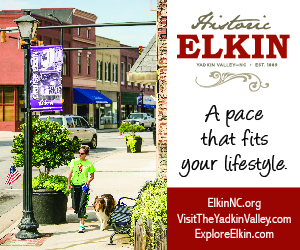 Within 50 miles of Pittsboro are a variety of cultural experiences--the N.C. Symphony, the N.C. Art Museum, the Ackland Museum of Art and the American Dance Festival. Sports fans no doubt will enjoy being so close to the athletic teams of N.C. State, Duke University and the University of North Carolina. For those who love the great outdoors, but want more than golf, Jordan Lake State Recreation Area offers fishing, boating, skiing, camping, and hiking. The park is also a favorite destination for picnickers and bird watchers. Each summer it boasts the largest population of Bald Eagles in the eastern United States. There's also plenty to do right at home in Pittsboro, including community theater performances, exhibits by emerging artists and literary coffee houses. The historic Chatham Courthouse in the heart of downtown Pittsboro is just one of several sights that make up the town's Historic District, which is listed on the National Register of Historic Places. A walking tour of the District is a great way to spend an afternoon. Also in Pittsboro is the The Fearrington House Inn and Village. Once a dairy farm, several of the original buildings at the Fearrington have been converted to exclusive shops that sell pottery, books, jewelry and more. The original homestead is now an award-winning restaurant, while the actual inn is in a new building overlooking rolling pastures where sheep still graze.